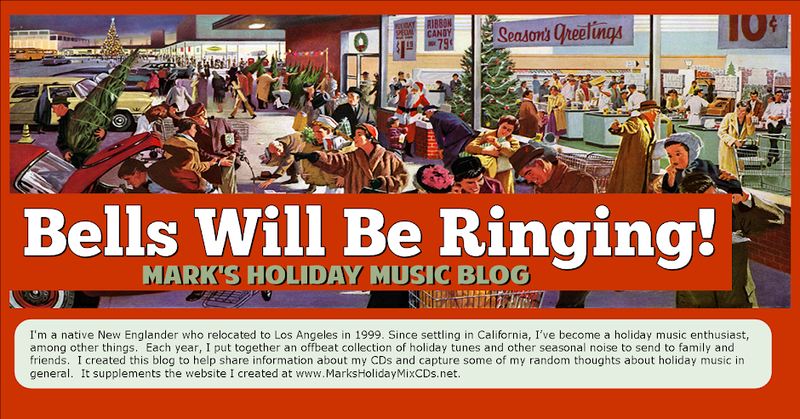 Time now for some random thoughts and background on three more tracks from my latest holiday mix, Is There Really a Santa Claus? Track 30 kicks off a string of nine cuts that pay tribute to several gifted and popular entertainers who died during the past year. Only eight tracks to go after today and we've got eight days left before Christmas, so I think we'll make it with time to spare. There wasn't much to it, I'm afraid, but you can hear the glow in her voice and you know she was happy doing the thing she liked best – making people laugh. 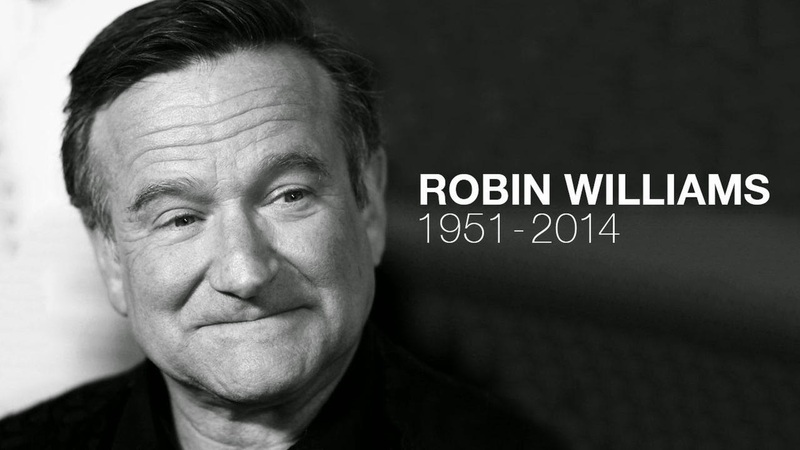 I was at home the afternoon Robin Williams died, cleaning my apartment. I kept my cell phone close by as I worked so I could watch something light on YouTube. For some reason I chose to watch Robin Williams' 2009 HBO special, "Weapons of Self Destruction." I'm not sure why, for while I loved him in several of his movies, I'd never really seen him do much stand-up. It always seemed too loud and frenzied for my taste. But that afternoon, I found myself really getting into it. <LOL> At some point, I realized I knew very little about the guy, so I looked him up on Wikipedia I was intrigued by what I read, and I realized there was lots of his stuff I'd never seen before. That was something to look forward to. Later that afternoon, I had to walk across Downtown to pick up a vacuum belt at Target. Walking over, I listened to David Crosby. On the way back home, I switched from mp3s to NPR. They were playing a montage of Williams' best lines when I tuned in, followed by news of his death. Williams' problems with depression and addiction have been widely reported, and he was remarkably honest about his struggles in this area. In fact, this was a major theme in the show I'd watched on YouTube earlier that afternoon. I can't help but think that this candor, while it didn't necessarily save him, was of inestimable benefit to others by helping to reduce the stigma of these treatable illnesses and encourage a more open dialogue about them. I haven't counted, but I'm guessing I've got somewhere between one and two thousand holiday songs and sound bites on my computer. They aren't organized very well, but I do keep a folder marked "NEXT CD" that I use to store the stuff I really like and am seriously considering for my next mix. There are typically a couple of dozen items there, a few of which I've been "seriously considering" for years. In any case, most of the tunes I ultimately select have sat in the "NEXT CD" folder for a spell, which means I'm usually pretty familiar with most of the tracks on each mix long before it's finalized. There are always one or two last-minute additions, however – tracks I stumble on in the final hour and like well enough to bump something else to make room. “Christmas in Vegas” is this year's last minute addition. I happened to hear it as I was finalizing this year's mix and instantly liked it — the lyrics, the tune, and, most of all, its energy. This one also rings some loud bells for me personally, as a couple of good friends treated me and a friend to a weekend in Las Vegas this past September, and it was a blast! Watson was born in Birmingham, Alabama and raised in a rural area outside of Pasadena, Texas. His father and an older brother were both talented musicians, and Dale himself started young. He was writing songs by age 12 and performing in clubs just a few years after that. During his 20s and early 30s, Watson spent time in Los Angeles and Nashville, where he wrote songs for others and played a variety of local country and western clubs. Watson signed a record deal after relocating to Austin, Texas in the mid-1990s, and he’s kept productive and busy since then, consistently releasing at least one new album per year. This is especially noteworthy in light of the hand he was dealt several years after the release of his first album. First, his girlfriend was killed in a car accident after falling asleep behind the wheel while driving to meet him. Watson attempted to make sense of the tragedy on his 2001 album Every Song I Write Is For You, which is dedicated to her, but he remained powerfully affected by the loss. By 2002, Watson realized he was having trouble coping, and he had himself committed. Thankfully, he made a full recovery, and his story is captured in the 2007 documentary Crazy Again. Watson has remained exceptionally busy in recent years, both in the studio and performing live. He plays regularly at the Grand Ole Opry and Austin's Continental Club and appeared on stage in 2012 in Ghost Brothers of Darkland County, the well-received musical by Stephen King and John Mellencamp. Watson is often described as an "authentic" country singer, or a "vintage" or "hard-core" country and western star. This harkens back to greats like Hank Williams, George Jones, Buck Owens and Johnny Cash, and it seems right to me. Watson himself prefers to use the term "Ameripolitan" music, explaining that unlike most pf the modern fare now coming out of Nashville, Ameripolitan music has its roots in the local communities instead of some producer's bank account. Ameripolitan music tells stories — honest stories about genuine men and women facing life's challenges. Real stories affect change, which is why I was so pleased to see the video Watson made several years ago to decry the treatment he received at the hands of one particular corporation several years ago. Go get 'em, Dale! I'll be back tomorrow or the next day with more.